AN EARLY INSPECTION IS ESSENTIAL TO AVOID MISSING OUT ON THIS TRULY SUPERIOR 3 BEDROOM SEMI DETACHED PROPERTY. Boasting an abundance of exceptionally high quality of fixtures and fittings throughout, combining to create a most decadent interior to this lovely family home. 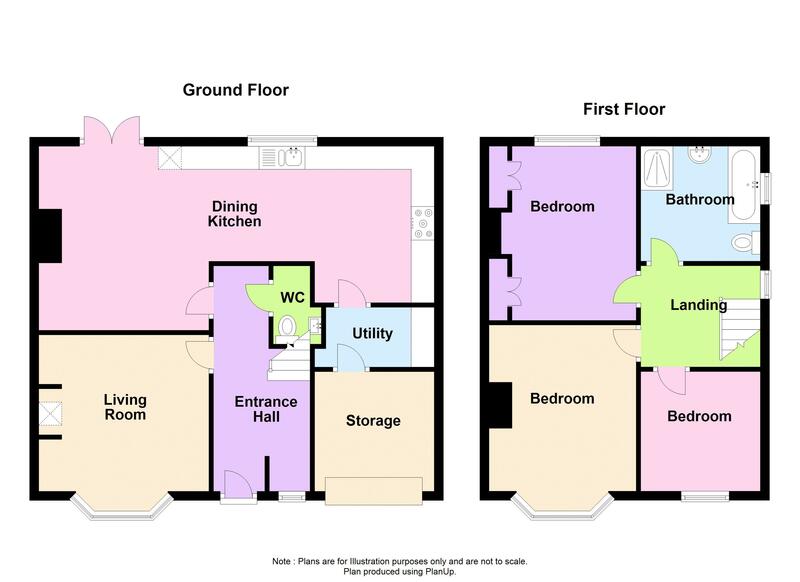 The accommodation comprises: entrance hall, ground floor wc, lounge, a stunning dining kitchen and utility room. To the first floor there are 3 bedrooms and a luxury family bathroom/wc. Additional benefits include gas central heating via combination boiler and UPVC double glazing. Externally there is a double driveway to the front, a good size rear garden and an attached garage. Double glazed entrance door, double glazed window to the front, built in cloak cupboard, double radiator and halogen spotlights. Double glazed bay window to the front, alcoves, log burning stove, television point and a double radiator. Fitted with a range of wall and base units, Corian work surfaces, integrated Bosch dishwasher, halogen spotlights, tiled floor, alcoves, 2 double radiators, double glazed window to the rear and double glazed French doors to the rear garden. Double glazed window to the front, low level wc, wash hand basin, part tiled walls and extractor fan. Double glazed window to the side, carpet and access to the roof space via loft ladder. Double glazed bay window to the front, alcoves, carpet and a double radiator. White 4 piece suite comprising a paneled bath, step in shower cubicle with mains shower, low level wc and pedestal wash hand basin. Heated towel rail, tiled walls, tiled floor, halogen spotlights and a double glazed frosted window to the side. Laid mainly to lawn with a decked area and fenced boundaries.